Each year brings a new group of students to my room. So, to get a feel for where they are in their writing, I like to have them write a short story. Short stories and fiction are frequently used in younger grades and they have likely had the most experience with that type of writing, so it's their chance to be creative and show off their strengths in writing. 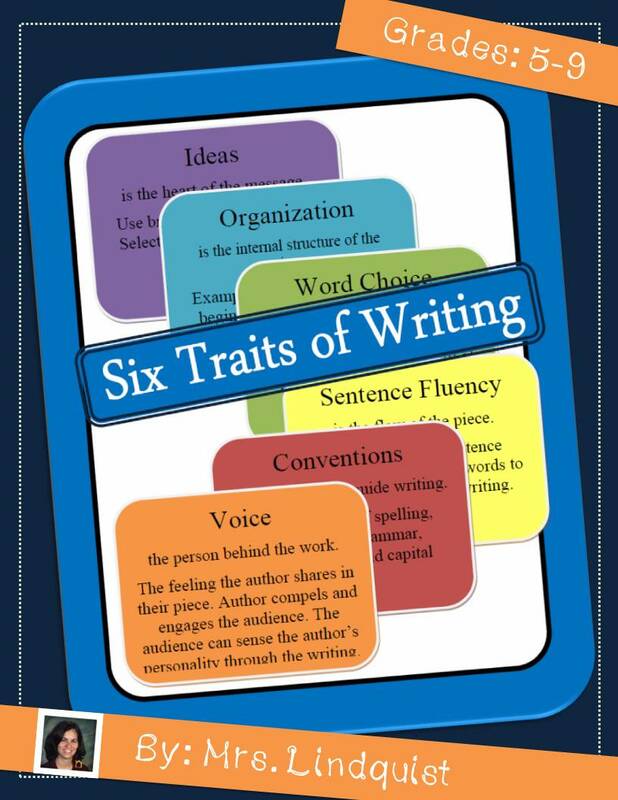 It also gives me a great starting place for which writing concepts they understand and which we will need to work on. To ensure their greatest success, I offer a variety of tools including: in-class brainstorming sessions, outlines, and rubrics. This allows students to bounce ideas off of each other and see all the requirements before they turn in their final copy. 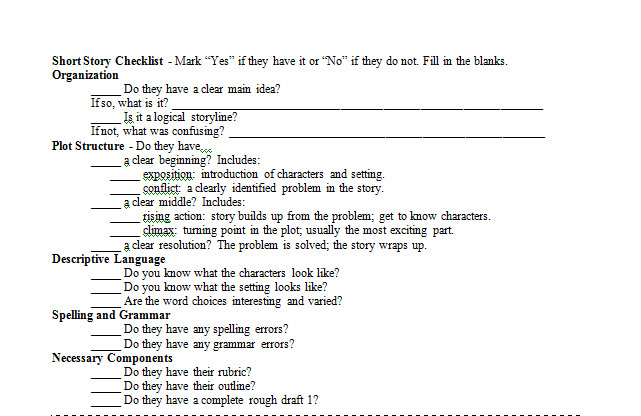 The following is an outline of how I would organize a writing unit and the tools I use. If you are interested in purchasing this product, you can find it at Mrs. Lindquist's Store on TeachersPayTeachers. I get 41 minutes every Monday-Friday (on a regular, no interruptions week) to teach English and two days a week at 41 minutes each for Literature. In that time I am expected to cover spelling, grammar, reading, writing, listening, and speaking. As a result, it's important for me to be organized and make the most of my time with my students. 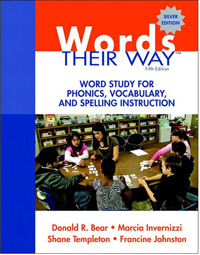 We do Words Their Way for spelling so we work in rotating small groups for about 15 minutes each day to do various word sorts and spelling activities. This leaves me about 25 minutes for writing activities. After consulting my Common Core Projects chart and my monthly calendar, I prepare my daily lesson plans and make the copies I'll need for the week. Inevitably something will happen that wasn't in the plan, but having a plan means I'm ready for anything, whether it be finishing a task early because students get the concept or needing more time due to interruptions or a lack of understanding. Once my lesson plans and copies are ready, it's time to teach! On the first day of the unit, we talk about our favorite stories growing up and share what makes a story. Students usually know the words "beginning, middle, and end" but are less familiar with "exposition, climax, and resolution." After they've had a chance to share what they know about story writing, we do a quick mini-lesson about the elements of plot (exposition, conflict, rising action, climax, falling action, and resolution) and jot down some notes. It is the first time of many that they will see this concept in my classroom. Then, we brainstorm ideas for stories using the projector. If students get stuck, I'll start writing some ideas to get them motivated again. 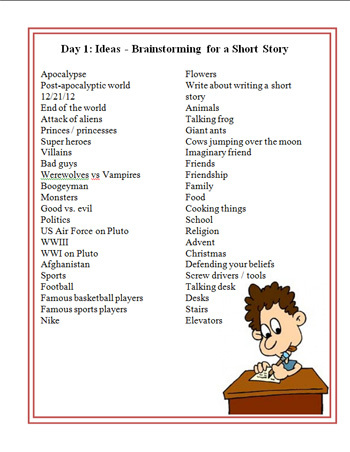 Students will come up with everything from vampires and werewolves to sports, from the end of the world to rehashes of their favorite books or movies. As long as the idea is school appropriate, we write it to share. After about 5 minutes of brainstorming, I give them the rest of class (usually about 2-3 minutes) to start thinking about which topic interests them the most. Homework: pick the topic for your short story (due tomorrow). I like to have my students share their ideas with me (worth 5 points) to show me that they have given their story some thought. I record them on a Grading Sheet I made that has all their names and spaces for assignment information. I remind students they may change their ideas later if they get stuck, but it will be less work for them to pick an idea they like now and stick with it. After everyone has shared, we go over the Short Story Rubric. I've learned over the years that most students will not read the rubric or keep it on hand unless I teach them to, so we always start out any unit be reading the rubric together. If this is the first time your students are seeing a rubric, be sure that you read over it and ask them questions to gauge their understanding. My first year teaching I made so many assumptions about what the students did and did not understand; I kept getting low quality work and being frustrated that they weren't understanding what I wanted. It took me a while to realize that I needed to teach the rubric much like I would teach other topics. Once you feel your students really understand the rubric and requirements, it's time to read over the Short Story Outline. This includes the elements of plot, helps them get used to the new vocabularly, and encourages them to organize their story. I then allow in class work time and walk around the room to check in with students. I've had students that can start writing immediately and others who stare angrily at the piece of paper until just before the bell rings before their muse strikes. In either case, I allow students that time to work out what they need to and at their pace. If anyone needs help, I make myself available. Homework: complete the outline (due tomorrow). 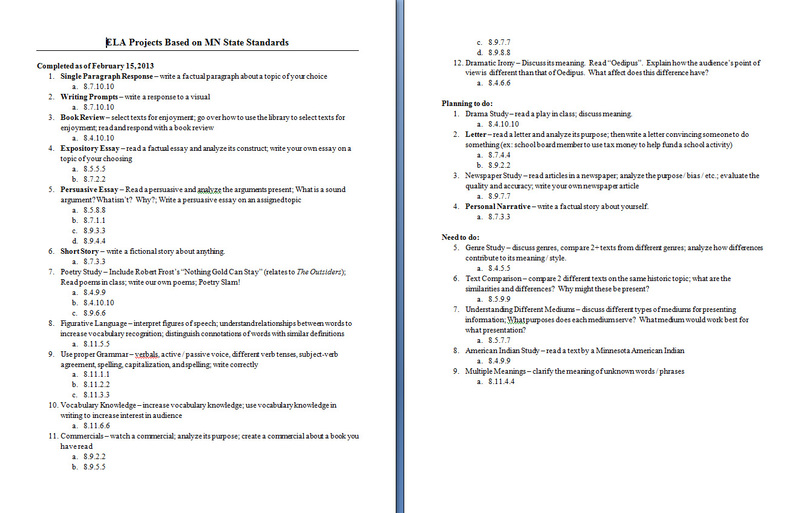 The topic has been picked and the outline is ready to go; it's time to start drafting! From this point forward, how long this project takes is dependent on how many drafts you want them to do and how long you give for the editing / revising stage. I usually allow two in class days of handwritten rough drafting. I walk around the room and check to make sure each student is working and on task. Then I go to a small table in the back and draw sticks to meet with students. Two days at 20 minutes each day allows me enough time to conference for with each student for about 2-3 minutes. I get a feel for where each student is at and how to help them if they are stuck. I also offer suggestions of where they could add descriptive language or circle words that are basic and ask them to find gramatically correct synonyms. As this is our first writing assignment, I can already start planning mini-lessons if I see that many students are confused about certain writing techniques. Common issues I've seen in this writing assignmnet include: punctuation issues with dialogue, confusion with your/you're/your or their/they're/there, overuse of the word "said," and unclear resolution. 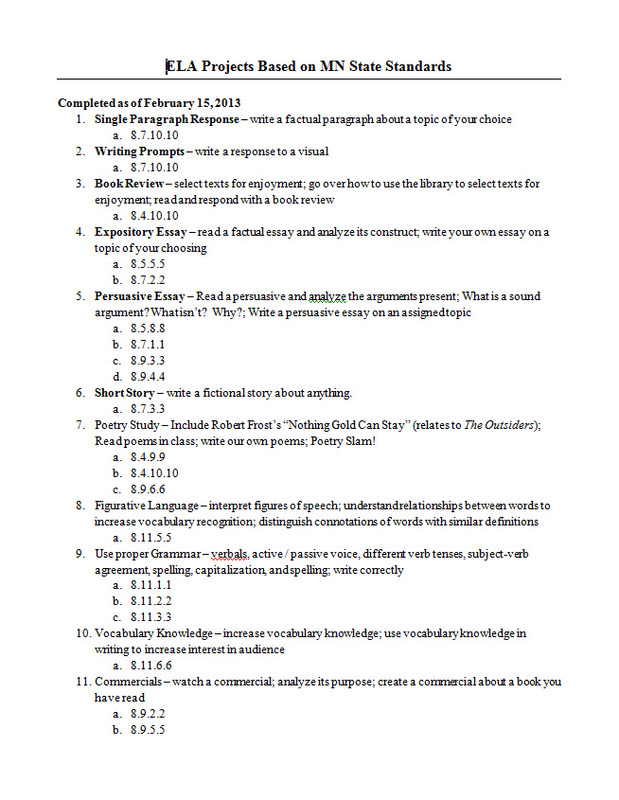 Homework: finish rough draft 1 (due day 5). At the start of class, I go around the room to check that each student has completed their first rough draft. Again, I use my Grading Sheets to keep track of who is or isn't complete with their rough drafts. Then I assign partners. I try to pair up students that I saw as being strong writers in our conferences with those who I noticed were struggling. If anyone is not complete, they use this time to try to get caught up and have to make up their peer conference during study hall or after school study. Before I have the students move to work with their partner, we go over the Peer Review Checklist. I try to make the checklist as concrete as possible so that students actually help their partner instead of handing back a virtually uncorrected paper saying "I didn't see anything wrong with it." Then, partners get together and work for 15 minutes. I make sure the students know that I expect them to edit their partner's paper for the full 15 minutes and that only if I see everyone working hard will I allow them more in class work time for this unit. When the 15 minutes is up, I have the students staple the Peer Review Checklist to their rough draft. If there is any additional time, students may begin revising their work or ask questions about any parts that were unclear. Fortunately, it's easy for me to gain access to the computer lab, but if your lab is usually booked up make sure to plan ahead. I find that it is best to allow students at least one day of in class typing time, especially for those who don't have computer access at home. I require my students to use the following layout: Times New Roman, 12 point font, double spaced, and one inch margins. They should have their name, grade, and date in the upper right; a title in the center; and start their story indented, left-aligned. This is another reason to be in the computer lab as a whole class because I have found that many students, even as high as 8th grade, still don't know how to set up a Word document this way. Once everyone is set up, they should start typing their rough draft, making the editing / revising changes from their peer review. Again, I use this time to meet with students in short conferences or walk around the room to do informal check ins. If I see anyone struggling, this is a great time to offer help. When I see someone doing exceptionally well, I make an effort to let them know. As students rotate to meet with you, the others can continue typing their papers, read silently, or work independently on another project until they meet with you. I try to meet with the students with the highest needs first, as they may need another conference before the final story is due. I read through their story, offer suggestions, and share any concerns I have. Then the student goes to a classroom computer and makes the necessary corrections / edits. I try to limit the conferences to about 5 minutes a piece (some go longer, some go much faster). That being said, do what feels right to you. Sometimes I just collect all the rough drafts and do quick edits on my break. Other times I prefer to sit down and meet with each student. It really depends on the class. I love when students get excited to share their stories and always prefer volunteers to forcing people to read. However, I offer the students the chance to have their story read aloud by someone else if they are feeling shy about reading it. This encourages even the shy students to have their story shared with the group, even if it's not by them. To make it even more enjoyable, sometimes we bring in snacks to share! This is of course only a guideline. Some classes need a lot more in class time to complete tasks while others will finish their rough draft in one day and be ready to peer review sooner. The above schedule is somewhere in the middle of the speed and meticulous writers.